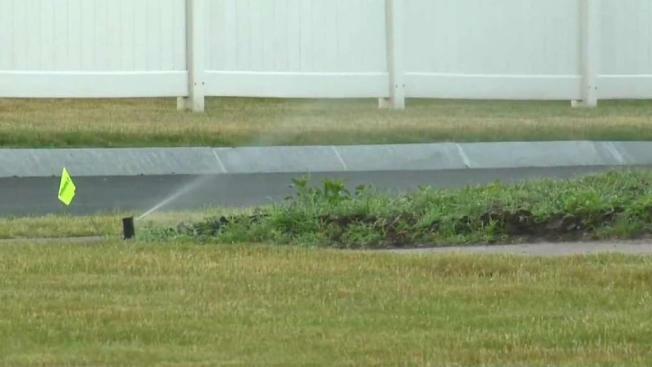 Dry weather persists in Foxborough, Massachusetts, prompting local officials to implement an outdoor water ban. The ban, announced late Thursday, will remain in effect until further notice. In the first few hours of implementation, nearly 50 violations were logged, according to Town Engineer Christopher Gallagher. First time violators receive a warning, but fines will be issued for repeat offenders. Every year water restrictions go into effect in May, this year being no different. Water supplies in town continued to decline even with those restrictions, officials say, leaving them concerned that water pressure may suffer. That’s particularly a concern for the fire department. The hope is that water levels will stabilize with the help of the ban implemented this week.